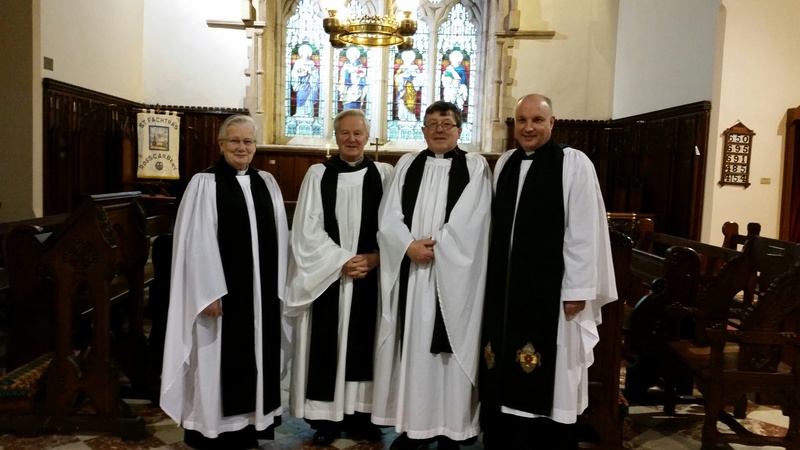 On Sunday afternoon, 22nd February, during Evening Prayer at the Cathedral Church of Saint Fachtna, Rosscarbey, County Cork, the Reverend Trevor Lester was installed as a Canon (Prebend of the Island). The preacher was Archdeacon Adrian Wilkinson. Mr Wilfred Baker acted as Registrar.A large congregation gathered to support the new Canon and the Service was followed by a generous tea. This entry was posted in Cathedral, Church Services, Clergy, Diocese, Installations. Bookmark the permalink.